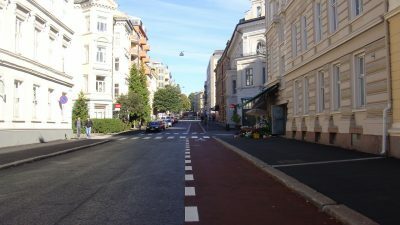 A cease-fire has been reached in Oslo’s version of “car wars.” Street parking continues to be replaced by bicyle lanes, but the Norwegian capital’s new Labour- and Greens-led government has parked its plans to ban cars in the downtown area, much to the relief of retailers, businesses, residents and opposition politicians. Guri Melby of the non-socialist Liberal Party (Venstre), who was the environmental spokesperson for the city’s former conservative coalition government, was also pleased. “My impression is that they (the new left-wing government’s members) have moderated their position quite a bit,” Melby told newspaper Aftenposten on Thursday, after city government leaders had rolled out their new proposals for the year ahead. Melby said she thinks that’s “especially” true for the Greens Party (Miljøpartiet de gronne, MDG), “compared with what MDG campaigned for” before last fall’s local election. 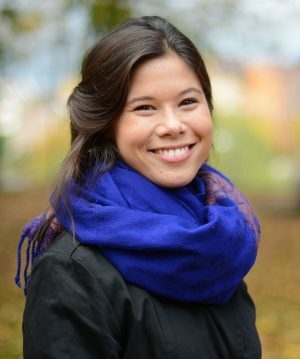 Lan Marie Nguyen Berg, who serves as the city’s top politician for environmental issues for the Greens, disagreed, saying Oslo’s government coalition still has a goal of having “the fewest possible cars” in the center of Oslo. That’s a big difference from no cars, though, and Berg acknowledged that the city now was opting for a more gradual introduction of new driving restrictions. She had been rolling out her anti-car projects at high speed, angering many downtown residents along the way. They’ve seen street parking disappear or become subject to vastly extended time restrictions, making life especially difficult for the many who lack garages that were rarely built when downtown neighbourhoods developed before cars were even invented. “We’re not opposed to bike lanes, but they need to be introduced at a reasonable tempo,” Jens Lie of Oslo’s Frogner area told Aftenposten recently. Lie, a member of the neighbourhood council for the Conservatives, and several of his neighbours complained that they hadn’t even received warnings about new bike lane projects replacing their street parking until the projects were underway. City officials later apologized for a lack of communication as they removed 500 street parking places to make room not only for bicycle lanes but also for trams and dedicated bus lanes, as Oslo’s public transport systems expand. Retailer merchants were also upset, fearing that the driving restrictions and proposed ban on cars would drive customers away and make it difficult for goods to be delivered. Now they’re relieved that top city officials have opted to phase in changes much more gradually over the next few years. The first phase of limiting parking options will continue but it will not become prohibited to drive into downtown Oslo, just more difficult and expensive. Berg of the Greens, city government leader Raymond Johansen of the Labour Party (Arbeiderpartiet) and Inga Marte Thorkildsen of the Socialist Left party (SV) told Aftenposten that the downtown area will be split into two zones during the course of next year. Only taxis, delivery trucks, emergency vehicles and drivers with disabilities will be able to drive from one zone into another. All others must drive around the perimeter, now known as Ring 1 that extends from just behind Aker Brygge in the west to the area around Oslo Central Station. They said private cars will still be allowed to drive to the station and to the cruise-ferry terminals at Vippetangen, behind the Akershus Fortress. During the second phase of the city’s plans, due to roll out in 2018, more streets will be closed to pedestrians only and in the third phase (2019), the city will evaluate how the new restrictions are working. If officials deem there is still too much private car traffic, some streets may be blocked but not to vehicles delivering goods or other necessary functions. “This is all music to our ears,” said Gunnar Larssen, managing director of Oslo’s retail merchants’ association OHF, which had declared stores would die out under the original plans. Larssen told Aftenposten that “we have been heard, the city has listened to us,” noting that it also will still be possible to use existing parking garages like those at Aker Brygge and in the Majorstuen area. “We were worried they’d have to close,” he said. Berg claimed the Oslo city government’s plans to restrict automobile traffic remained ambitious. “This is a process,” she told Aftenposten on Thursday. “Nothing like this has been done before on a scale like in Oslo. The goal is for the city to function better,” she added, with “more room for city life,” lower carbon emissions and lower danger of air pollution.